I just got back from five days of ultralight backpack cycling in Southeast France. You might wonder where Part 1 of this trip is? It is coming (I only have 18 hours before my next flight to Nice for the same adventure in a different region). But on request and with only limited time, I want to share what I carried on this trip and what it requires so it works. I am sure that style of cycling has a name but I havent come across it yet. What I mean with ultra light backpack cycling is a combination of road cycling and bikepacking. 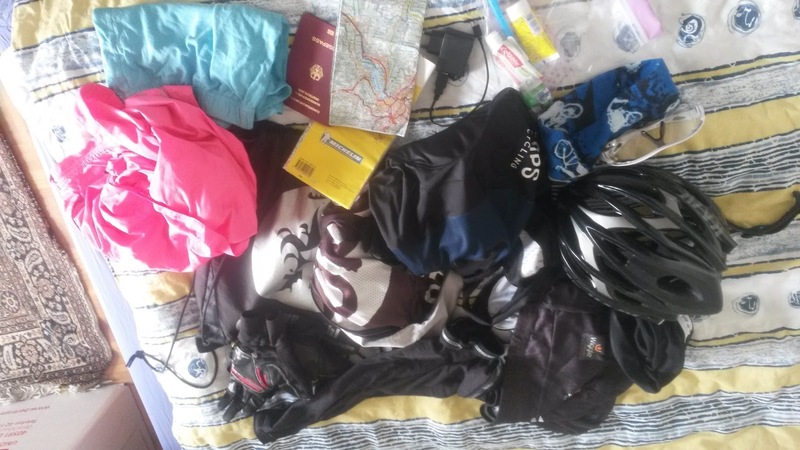 You can go as fast as you would do on a normal road ride (and not dragged down by weight, panniers, etc) but have all the essentials that you are never bound to a place and dont have to do loops. 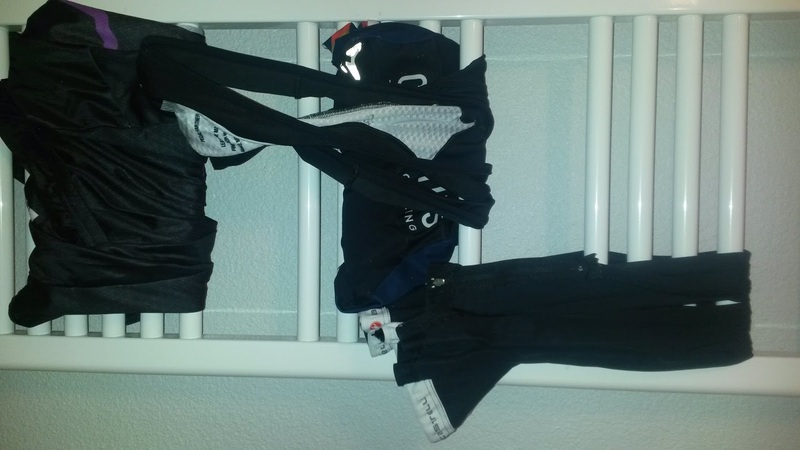 No shoes besides my cycling shoes and nothing spare or extra. If I lose it, it becomes more adventurous. I forgot my phone/Garmin/light charger in one hotel. Luckily, the following hotel let me borrow a charger. (It was Sunday, so nothing was open to buy something). When I look at the list, it seems like an awful lot and thus heavy. But since it was mostly light clothes, the weight tended to evenly distribute itself on my back so I never felt it on my back. I carried it up a lot of cols and never experienced any back pain. I didnt bring any food besides 1-2 pieces of fruit. With one exception, it works for me and I love stopping at supermarkets (Intermarche, Casino, Carrefour, Lidl, Netto, Aldi) and pick up a fresh piece of fruit or whatever I fancy at that time. After the supermarket run, I got into the hotel and washed my clothes while trying to figure out how to get them dry until the next day. Creativity was in high demand. Easy ways were there was a heater or a hair dryer or balcony. 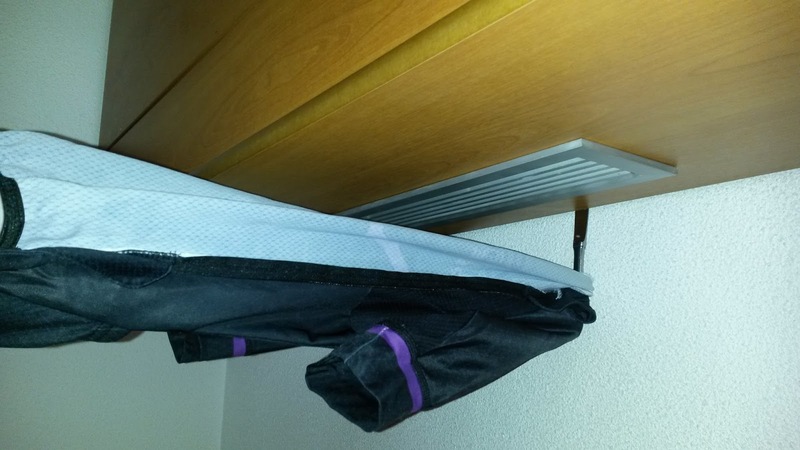 But I also pinned my clothes with knife and fork into the air conditioner to have them hung right in front of them. After the laundry routine, I finally could prepare food. By then, 1-2 hours have passed since I decided to be done riding. While eating, I studied the map and had some rough plans where my next destination is. Except the last day (where I had to get to Geneva), I never got where I intended to get. Sometimes, I found a better route, sometimes, I didnt like the chosen route and usually I got lost anyway. After all this post-ride activities, it was time to relax. Of course, this is not the golden formula for such kind of cycling. It worked for me well and I will do exactly the same during the Nice trip. Feel free to ask, suggest or tell from your experiences. In the next parts of this adventure I will cover what makes this type of riding so awesome and what my routes were. I also will write about all the lessons learned from this trip. Bye for now, I am off to Nice!